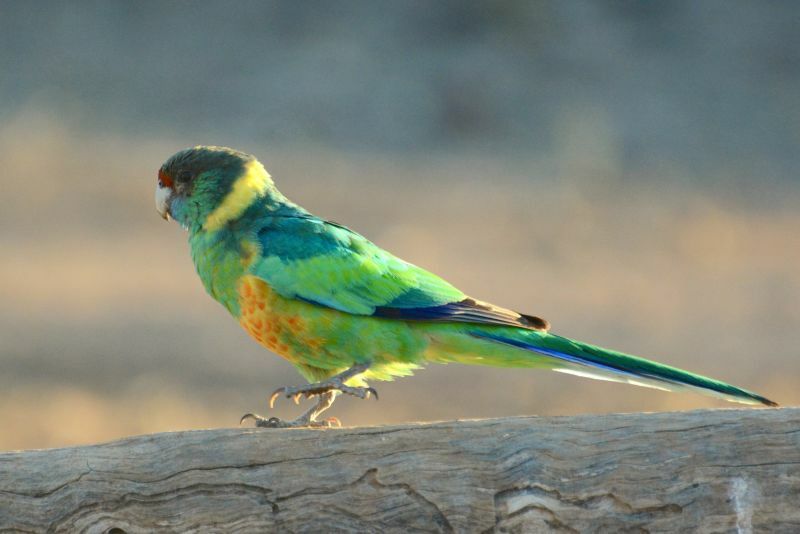 From colourful parrots and majestic eagles to dancing Brolgas and sprightly Fairy-wrens, when it comes to birdwatching in Australia’s Outback, the variety of birdlife astounds. Just a little west of Adelaide – as the crow flies – you’ll find the Eyre Peninsula. The triangular headland located at the bottom of South Australia is host to a mix of resident and migratory birds and makes for some of the best and diverse bird watching prospects in the country. The Eyre Peninsula is similar in size to Switzerland, with more than 2,000 kilometres (1,200 miles) of coastline and beautiful and diverse inland landscapes. 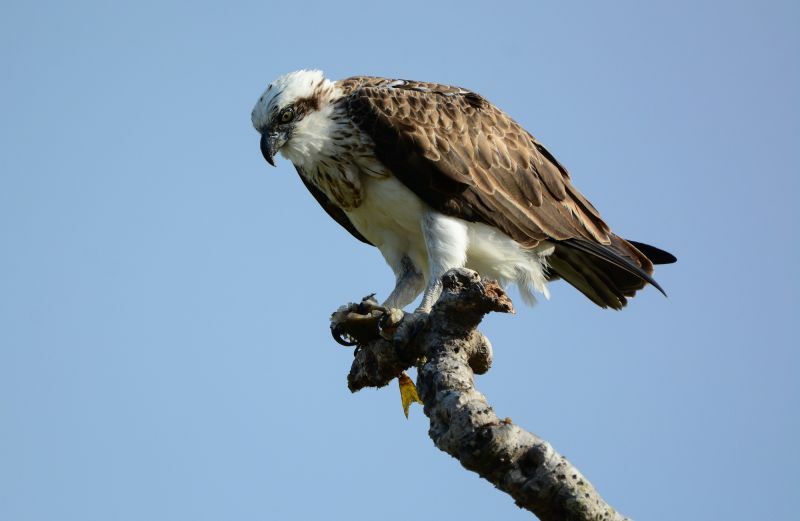 More than 270 species of birds reside in the region (to put this in perspective Australia boasts 800+ bird species all up) and the Eastern Osprey – an endangered species – is one of Fran’s coastal favourites to observe. “Each year pairs return to the same nest and spend months rebuilding the nest and establishing themselves as a pair. Once the chicks hatch the female stays at the nest while the male hunts for fish,” Fran explains. There are generally a few chicks, but often the eldest and strongest will throw the younger chicks out. Watching this is a fascinating insight into the struggle for survival and provides vital information to reverse the declining population across Australia. Travel a bit further north and you’ll arrive in the magnificent Flinders Ranges, South Australia’s largest mountain range. Here varied landscapes and a change in climate provide ideal homes for land-loving birds. 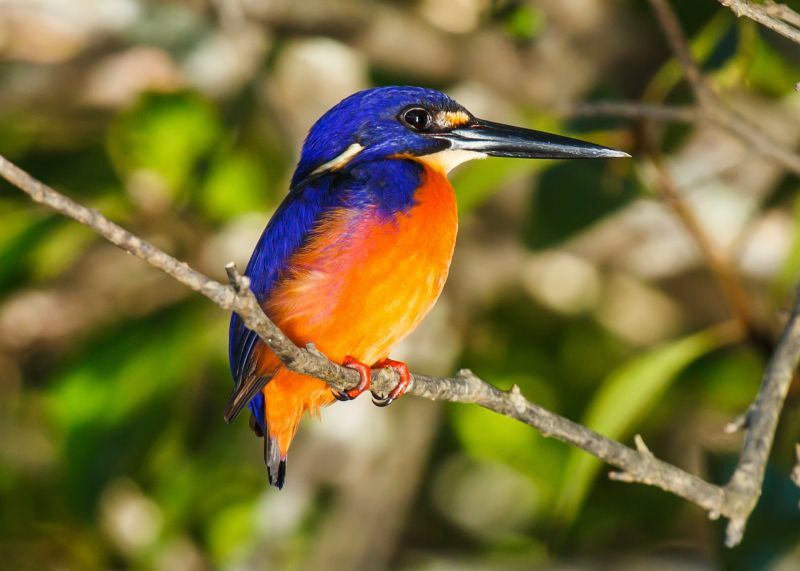 “For me, birdwatching is about seeing a wide variety of birds and the ability to observe the behaviour of various species and their fascinating interactions with one another,” Brendon Bevan, conservation and general manager at Arkaba – a former 1850s sheep station turned luxury eco lodge – explains. We’ve got such varied habitat here! Whether they are feeding up in the eucalyptus canopy or drinking at our hide, the experience is never the same. 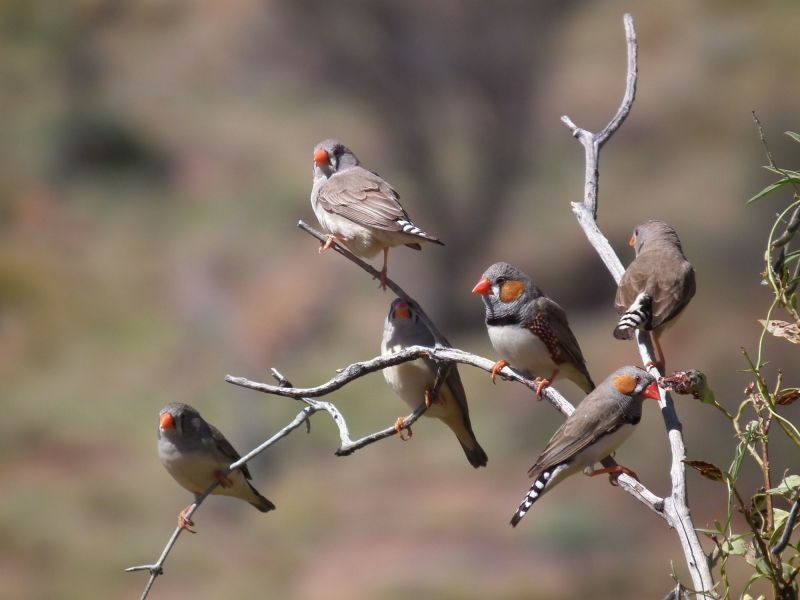 The rivers and creeks of Arkaba’s 60,000-acre wildlife conservancy are the life-giving veins and arteries, providing a leafy canopy for a multitude of parrots, corellas, peep-wrens, honeyeaters and the melodious grey shrike-thrush. The open Spinifex grasslands are where grasswrens, pipits and hovering black-shouldered kites are often seen. While the acacia-studded fields are popular with thornbills, babblers, red-capped robins and fairy wrens. Land is the focus in this part of Australia and Monica explains that smaller birds, in particular, are fascinating to watch because they help humans read the land. “If you hear a Zebra Finch you know that there is water close by,” she says. Other birds, too, come with unique behaviours, which makes the pastime all the more fascinating. Wedge-tailed eagles are also found further north, in Kakadu and Arnhem Land where Sab Lord of Lord Safaris takes guests on wild and wonderful tours through Kakadu and Arnhem Land in four-wheel-drive safaris. The company carries special permits from the traditional owners to visit areas of the Top End that are inaccessible to other groups. The Wedge-tailed Eagles are one of my favourite bird species,” Sab says. “They are incredibly graceful birds and for so elegant for such a large bird,” he says. “Like a ballerina, I suppose. There are more than 280 different species of birds in the Top End, which accounts for a whopping third of all bird species in Australia. Here vast billabongs provide an ideal base for water birds such as snake-necked darters, Azure Lingfishers, Black-necked Storks (Jabirus) and Magpie Geese, while the inland bush regions are home to fruit doves, Chestnut-quilled Rock Pigeons and White-lined Honeyeaters. 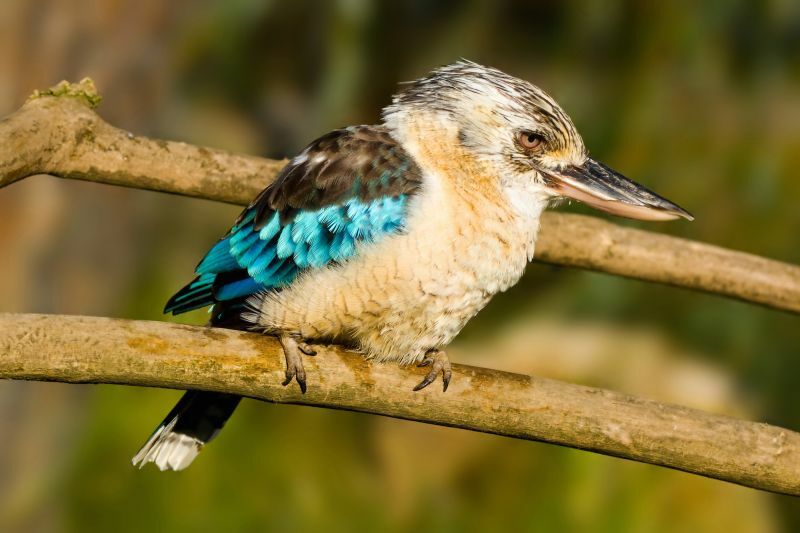 There’s even an official Kakadu Birds app created by the National Parks team, designed to help bird-lovers identify species and learn about them while out exploring. However, no app can substitute an expert guide who knows and understands the area – and specifically which birds hang out where and at what time. “Seasons effect when the birds come, the weather patterns, habitat variations and so on, “Sab says. For guests travelling with Lord Safaris it’s about immersing themselves in everything the region has to offer – and, in most circumstances, the birds are abundant and the watching is second nature. “We have a great camp that’s been up and running for six years now, designed a bit like an African bush camp where we cook around a fire and the wildlife is always around,” Sab explains.